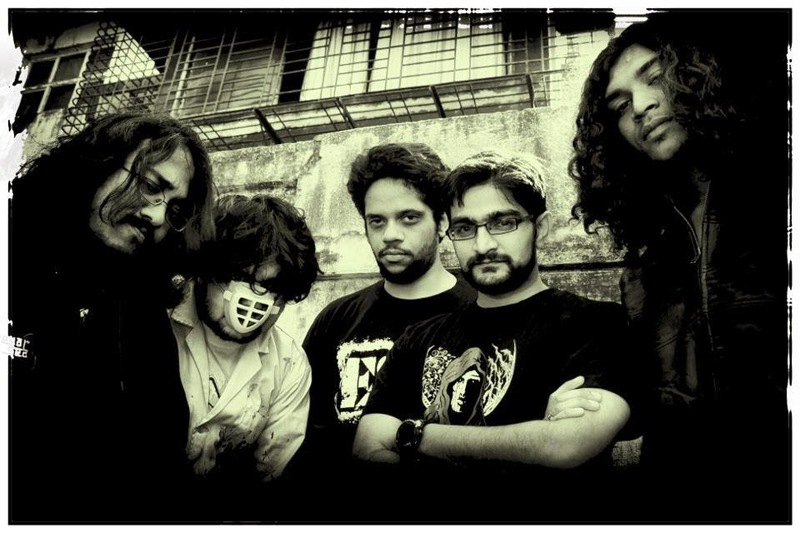 Formed in 2009, Albatross is a band from Mumbai and they term their music as “horror metal”. They released an EP called 'Dinner is You' in 2010, and as the name suggest, it was an EP that dealt with the grisly subject of cannibalism. Two year later, in 2012, the band came out with a split called ‘The Kissing Flies’. The opening track ‘Wither’, gives a clear idea of what the music of Albatross is all about. It is a short intro that is sure to send chills down the listener’s spine, with it’s eerie atmosphere and chilling tones of shrieks and creepy laughter. It is hard to classify the music under any one particular sub genre, as Albatross show shades of many different styles. For example, the track ‘Uncle Sunny at the Tavern’ starts out with thrash metal riffs and smoothly slides into heavy metal territory later on. This particular track has guest vocals by Niklas Stalvind of Wolf. This track is followed by the title track, ‘Kissing Flies’, which starts out like a twisted nursery rhyme, before manifesting as a hard hitting heavy metal track with powerful vocals. The final track ‘From Ashes Comes Life’ moves into a more darker territory and has a distinct doom metal feel to it. All the members of the band seem to be very proficient at what they do and the one person who stands out as stellar is the vocalist Biprorshee Das. His vocals possess excellent amount of variations which is evident by the way he screams as easily as he growls. His vocal melodies are very reminiscent of the style of King Diamond himself. Guitar duo Vigneshkumar Venkatraman and Nithish Hedge do a solid job with the riffs and the transition of styles is almost unnoticeable. To these memorable riffs, they also add copious amounts of solos and lead parts in a very tasteful manner. The lower end of the spectrum is dominated by Dr.Hex’s bass lines and he makes his presence felt throughout the record. Last but not least is the drumming of Jay Thacker who has a lot of good fills to offer and the way he transitions the tempos is very fluid. It feels good to see a band from India that create themed songs and execute it in near flawless manner. Forming the other half of the split is American occult metal duo Vestal Claret. Their contribution to this split is in the form of a 17 minute long epic, which goes by the name of ‘Black Priest’. 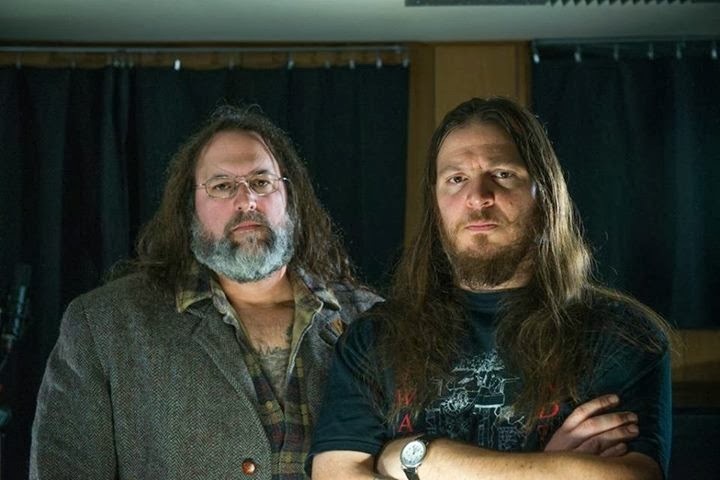 This track starts out as a slow doom metal crusher with the atmospheric guitar chords and heavy bass lines of Simon Tuozzoli sounding almost psychedelic. Vocals are rendered by Phil Swanson, who has been a part of numerous bands, including Briton Rites, Hour of 13, Earthlord etc. He gives a steady vocal delivery with a good mix baritone-ish parts and high pitched parts. There are a few bridges and solos added on to this track which make it all the more mesmerizing. Halfway through the track, it transitions into a stomping mid tempo track and this ensures that there is no room for monotony. The track does a final transition in to doom territory before ending. The lyrics, vocals, riffs and solos, all together make this a very memorable track, despite the long length. It stands as a fitting closure to a horror themed split and proves to be an excellent counterpart to Albatross’s brand of thrashy horror. Usually, splits have a very limited enjoyability factor, which luckily, is not the case here. This is a solid split between two very talented bands that share similar interests. Albatross is all set to play at Thrashfest sponsored by Transcending Obscurity, which is set to happen on 9th February, 2014 at Hotel United 21, Mumbai.